Nazareth — A fascinating debate is entering Israel’s political mainstream on a once-taboo subject: the establishment of a single state as a resolution of the conflict, one in which Jews and Palestinians might potentially live as equal citizens. Surprisingly, those advocating such a solution are to be found chiefly on Israel’s political right. Most observers — including a series of US administrations — have supposed that Israel’s peace-makers are to be found exclusively on the Zionist left, with the right dismissed as incorrigible opponents of Palestinian rights. In keeping with this assumption, the US president Barack Obama tried until recently to sideline the Israeli prime minister Benjamin Netanyhau, Israel’s rightwing prime minister, and bolster instead Ehud Barak, his defence minister from the left-wing Labour party, and the opposition leader Tzipi Livni, of the centrist Kadima party. But, as the Israeli right often points out, the supposedly “pro-peace” left and centre parties have a long and ignominious record in power of failing to advance Palestinian statehood, including during the Oslo process. The settler population, for example, grew the fastest during the short premiership of Mr Barak a decade ago. What the new one-state debate reveals is that, while some on the right — and even among the settlers — are showing that they are now open to the idea of sharing a state with the Palestinians, the left continues to adamantly oppose such an outcome. The Israeli left still hangs on resolutely to the goal it has espoused since Mr Barak attended the failed Camp David talks in 2000: the annexation to Israel of most of the settlements in the West Bank and all of those in East Jerusalem. The consensus on the left is that the separation wall, Mr Barak’s brainchild, will ensure that almost all the half million settlers stay put while an embittered Palestinian population is corralled into a series of ghettoes misleadingly called a Palestinian state. The purpose of this separation, says the left, is to protect Israel’s Jewishness from the encroaching Palestinian majority if the territory is not partitioned. It was the pre-state ideologues of Labour Zionism who first argued for segregation under the slogans “Hebrew labour” and “redemption of the land” and then adopted the policy of transfer. It was the Labour founders of the Jewish state who carried out the almost wholesale expulsion of the Palestinians under cover of the 1948 war. For the right, on the other hand, the creation of a “pure” Jewish territory has never been a holy grail. Early on, it resigned itself to sharing the land. The much-misunderstood “iron wall” doctrine of Vladimir Jabotinsky, the Likud’s intellectual father, was actually presented as an alternative to Labour Zionism’s policies of segregation and expulsion. He expected to live with the Palestinians, but preferred that they be cowed into submission with an iron wall of force. Jabotinsky’s successors are grappling with the same dilemmas. Most, like Mr Netanyahu, still believe Israel has time to expand Israeli control by buying the Palestinians off with such scraps as fewer checkpoints and minor economic incentives. But a growing number of Likud leaders are admitting that the Palestinians will not accept this model of apartheid forever. Foremost among them is Moshe Arens, a former defence minister and Likud guru, who wrote recently that the idea of giving citizenship to many Palestinians under occupation “merits serious consideration”. Reuven Rivlin, the parliament’s speaker, has conceded that “the lesser evil is a single state in which there are equal rights for all citizens”. We should not romanticise these Likud converts. They are not speaking of the “state of all its citizens” demanded by Israel’s tiny group of Jewish non-Zionists. 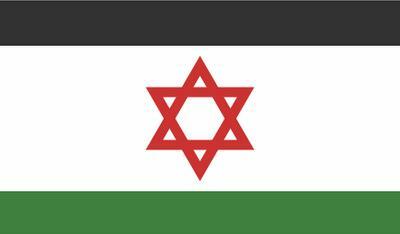 Most would require that Palestinians accept life in a state dominated by Jews. Arens, for example, wants to exclude the 1.5 million Palestinians of Gaza from citizenship to gerrymander his Jewish-majority state for a few more decades. None seems to be considering including a right of return for the millions of Palestinian refugees. And almost all of them would expect citizenship to be conditional on loyalty, recreating for new Palestinian citizens the same problematic relationship to a Jewish state endured by the current Palestinian minority inside Israel.